This is my first foray into denim-on-denim action, and definitely not my last. I was so enamored by this combination that I wore this exact outfit 5 times in the last 2 weeks. I'm pretty late to the game. 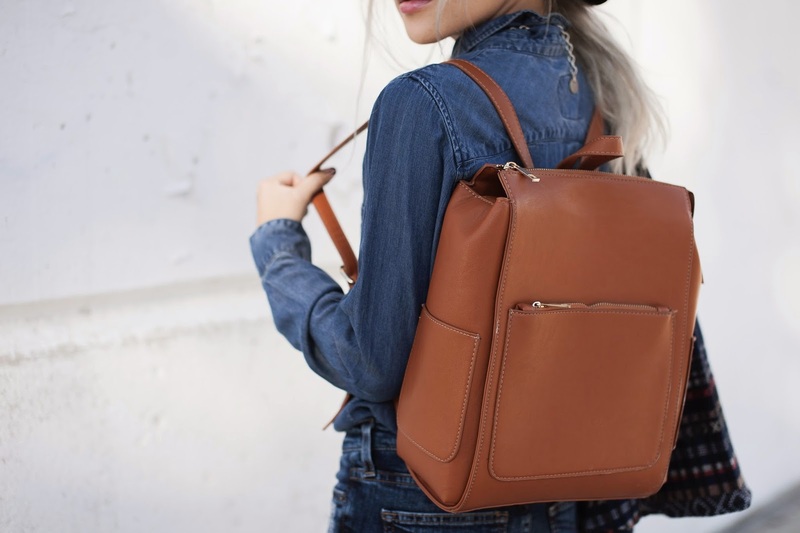 This outfit is perfect for the California cowgirl on the go. I love that all my accessories are different colors yet mesh so well--especially my new favorite carryall backpack from Culture Riot. I'll be holding a giveaway on my Instagram today for a bag of your choice so hop to it! Now where's my horse? Rails Southwestern print shirt (similar here). Your necklace is amazing, I love it! 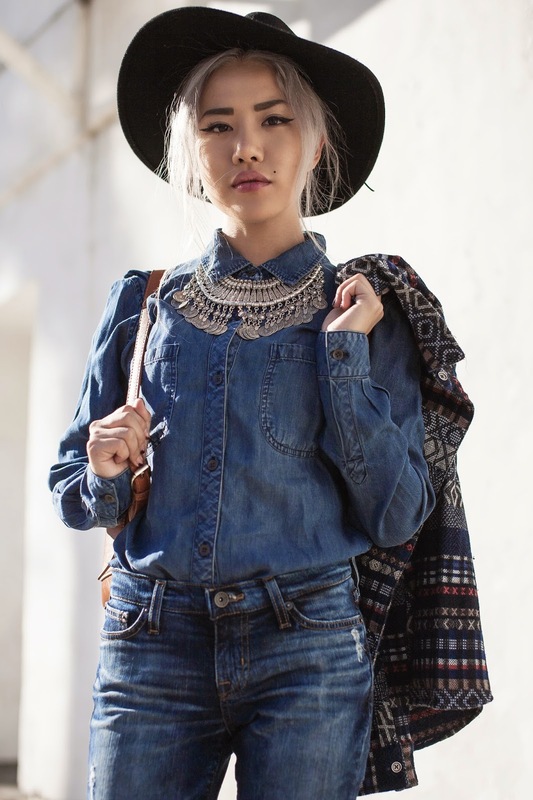 western vibes on my blog too! I have this necklace and this is a great suggestion of another way to wear it! Great look! You might have one of the best show collections. You are wearing that Candadian tux THE HOUSE DOWN! I can see why you'd wear it so frequently!